Am about to deliver my swiftly-recorded new solo album (made for last year's tour to South Africa) to the record label with a view to world-wide download release, and lo and behold, just before I've sent it off here's a review that the wonderful Joe Grint has written about it for Yorkshire folk/roots magazine Tykes News. I include it here in full - brought a lump to my throat! 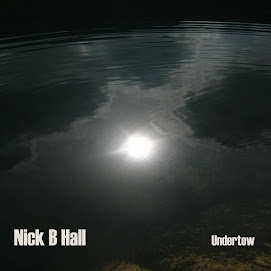 Nick Hall will be familiar to many Tykes readers from his appearances in the Hall Brothers many incarnations and from sightings of plumhall – a duo with his wife Michelle. Nick has been a bastion of the Yorkshire music scene for many years and I have lost count of how many times I have seen him perform and gone home a happier person. This CD is an ideal record of Nick’s recent career. Most of the songs will be familiar to Hall Brothers and plumhall fans – the irresistible chorus of ‘Fool of the World’, the dark ‘Undertow’, and the affectionate tribute to his father ‘The Great One’ all appearing early in proceedings. There are, however, a few songs (Darnhill Steps, What People Do, Another Turning Day and This Testing Time) that I have not heard previously which simply increased my listening pleasure. Although most of the songs are his own, Nick also turns in creditable covers of Dylan’s ‘Senor’ and Ian McNabb’s ‘Before All This’. The absolute highlights of this impressive collection of songs, however, are bonus tracks from a future plumhall EP - ‘Bierley Hill’, a song I love so much it almost hurts, and Nick’s heartfelt anti – fascist anthem ‘How Deep is This Valley’ which exposes the lies and bigotry of the BNP by recording the history of immigration into Yorkshire from earliest times. Harmonies provided by Michelle and Nick’s brother Duncan and a superb roster of supporting musicians help make this a recording to treasure. Given that its production was a hurried affair to meet the deadline of Nick’s departure with Magna Carta to South Africa, it is quite astonishing that the results are so effective. Credit for that must go to Gerry McNeice & Mike Thrussel who produced and engineered the CD. As I write, in the deep of winter, this is the music I turn to when I want to make the mornings brighter or the evenings warmer.